Who am I? Well, I wear many hats. I’m an actress, hand model and entrepreneur. If you googled me you probably figured that out, but lets take this a step further – My name is not pronounced Sarah Siadat. Surprise! It’s actually pronounced “Sa-da” “See-A-Dot”. Yep, you read that correctly. And no, my parents weren’t trying to be unique; it’s simply the way “Sarah” is said when your parents aren’t from the United States. Acting has literally taken me around the world. I’ve been able to work in Oregon, New York, Minneapolis, Dubai, and it ultimately landed me in Los Angeles. I studied and worked as an actress for 9 years in New York and after years of performing on stage I wanted a change. I jumped into an on-camera class and to my surprise I discovered my true calling as an actress was story telling in front of the camera. This is when everything changed! 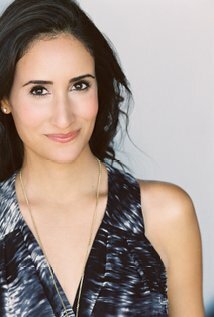 I’ve booked roles on HBO”s VEEP, CBS’s The Young and The Restless, and ABC’s One Life to Live. I also worked with the award winning Mixed Blood Theater in MN and performed for four years in the New York Arab American Comedy Festival. As a hand model I have worked with such brands as Target, The Home Depot, OPI nail polish, Quicken Loans and McDonalds. In addition to acting, I’ve added entrepreneur to my resume with my business Mentoring For Actors. Through one-on-one coaching I help actors bridge the gap between wanting to become an actor and making that dream a reality. I have no idea where my acting adventures will take me next and it doesn’t really matter, because I know it will lead me to another great story. Acting has literally taken me around the world. I’ve been able to work in Oregon, New York, Minneapolis, Dubai, and it ultimately landed me in Los Angeles. I studied and worked as an actress for 9 years in New York and after years of performing on stage I wanted a change. I jumped into an on-camera class and to my surprise I discovered my true calling as an actress was story telling in front of the camera. Subscribe to stay updated with Sarah's happenings!